ALTI UAS has announced that it has launched a Search and Rescue version of the ALTI Transition VTOL UAV (unmanned aerial vehicle). The new variant was developed in response to some of the worst fires in South African history sweeping through the area. The ALTI Transition SAR ‘Orange’ is a specific version of the ALTI Transition designed for search and rescue missions. The compact, advanced drone includes a unique vibration damping mount for the combustion engine, allowing up to 12 hours of endurance per flight with a 900km range. The key difference with this version of the ALTI Transition is the bright orange Search and Rescue color scheme, along with disaster specific payload integration, ideal for firefighting support and post-disaster management and damage assessment. The ALTI Transition is a pure VTOL UAV and transitions from hover to fixed-wing flight mode. Its modular frame allows for transporting within a pelican case and easy set up within 10 minutes. It does not require any additional equipment such as a catapult or landing strip. This allows search and rescues to launch instantly from just about anywhere and to carry the necessary equipment, it supports a wide range of payloads with a capacity of up to 1.5kg. 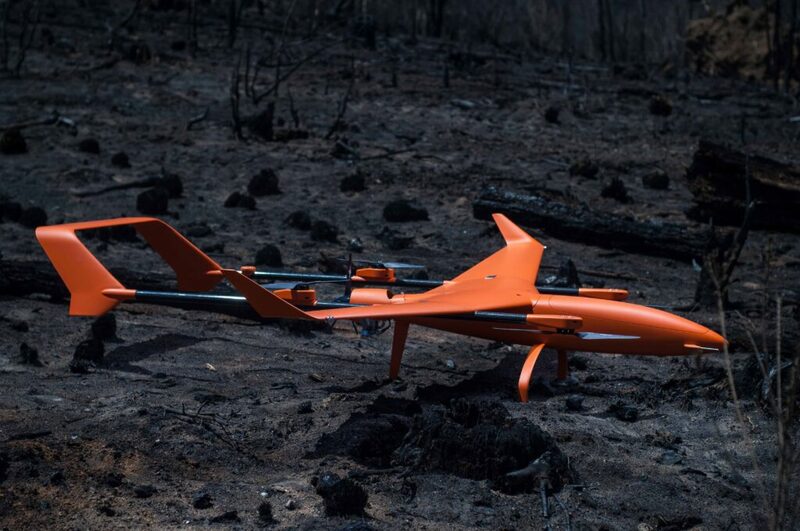 The new ALTI Transition SAR ‘Orange’ is enhanced to support emergency rescue operations by capturing detailed footage from above, allowing for supply drops, locating trapped victims and to survey, record and analyze terrain. It has been designed for every day, all day operation with a low hourly operation cost.